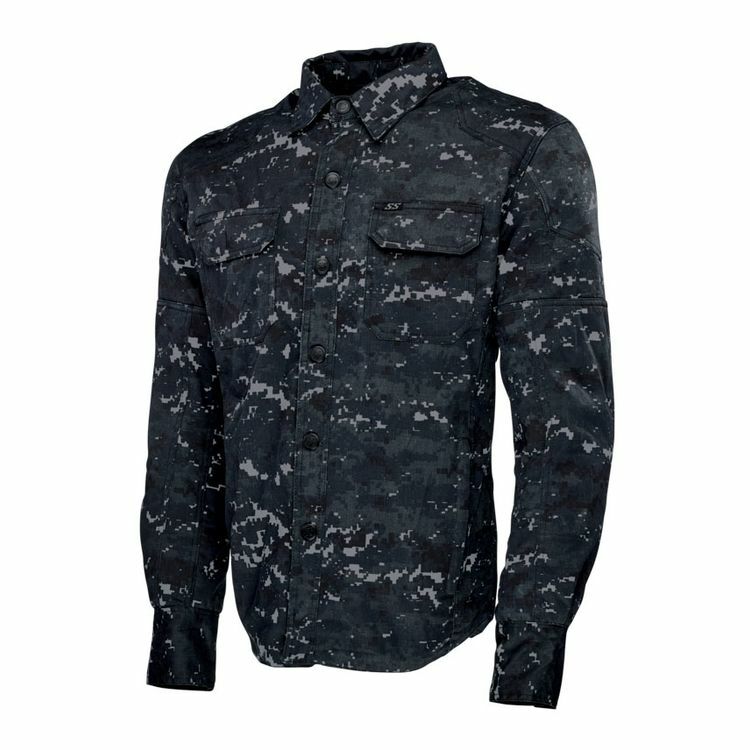 The S&S Call 2 Arms Armored Moto Shirt features soft cotton construction that is bolstered by aramid reinforcements and supported by removeable CE level Vault armor at the back, shoulders and elbows. The shirt's closure features a hidden zipper and visible snaps to keep the look casual yet moto-functional. Shoulder expansion gussets ensure plenty of mobility for the riding position and comfort throughout your daily routine.